Sporting events have historically been an occasion to introduce new technologies. The first bullet train, for instance, was unveiled to the world at the 1964 Tokyo Olympics. As nations like Qatar, Russia and China gear up to host major sporting events, the race to 5G is intensifying. This summer might still be too early for full 5G networks to be deployed, but China is hoping that by the 2022 Winter Olympics in Beijing, the infrastructure will be ready to showcase China as a world leader in 5G. China’s ministry of industry and technology and the Beijing Organizing Committee for the 2022 Olympic and Paralympic Winter Games are working together to make Beijing one of the world’s first 5G-ready city. They will have close competition: Deutsche Telekom has just activated the first 5G antenna in Berlin, followed closely by an announcement by BT, a British telecom conglomerate, that they would launch commercial 5G services as early as 2019. As 5G development accelerates, the spectrum has become the focus of the entire industry chain. As the core resource of mobile communication development, spectrum planning determines the development pattern of the industry. In terms of spectrum, 700MHz, C band, and 24-29.5GHz are the most desirable spectrum for 5G. As of July 2018, GSMA reported that 42 countries around the world have taken 5G action. Five of them (Ireland, Latvia, South Korea, Spain and Britain) have completed the 5G spectrum auction and selected C-band (3.4GHz to 3.8GHz) as the first 5G spectrum. SKT and KT in South Korea obtained 100 MHz and LGU+ got 80MHz. Vodafone, Meteor, and Three in Ireland obtained 105MHz, 85MHz and 100MHz respectively. Vodafone, O2, and EE in the UK obtained 50 MHz, 40 MHz and 40 MHz. Vodafone, Orange, and Telefonica in Spain obtained 90MHz, 60 MHz and 50 MHz. The LMT of Latvia obtained 100 MHz. One of the great advantages for operators in the Middle East is the abundance of spectrum resources, which enables generous allocation of the C-band of 200 MHz bandwidth to operators. Operators can use the spectrum advantage to quickly improve capacity. Currently, operators in Saudi Arabia, UAE, and Qatar are aiming to obtain 200 MHz bandwidth in the C-band. Spectrum bandwidth matters because it is a key factor in terms of capacity. In comparison to 100MHz, 200MHz gets double the capacity, and significantly reduces the need to deploy physical sites in dense urban areas. Furthermore, 200MHz spectrum will support carrier aggregation, dramatically improving the single-user experience. Secondly, massive multiple-input and multiple-output (MIMO) technology will unleash the powerful capability of the 5G network by taking the advantage of the wide band in C-Band frequency. Massive MIMO allows for the flexible and accurate control of cell coverage radius. The vertical plane improves coverage for tall buildings, while the horizontal plane enhances coverage at near points and far points horizontally in buildings, enhancing cell capacity and user experience. The three mains MIMO options in the industry are: 64T64R, 32T32R and 16T16R. 64T64R can reduce the amount of physical sites up to 20 percent in comparison to 32T32R, and 40 percent in comparison to 16T16R. Once operators have enough spectrum resource to support such a powerful antenna in terms of the technology maturity of the manufacturers, 64T64R 200MHz should be the first option. Some are splitting 64T64R into two 32T32R, but this is a temporary solution as doing so sacrifices coverage, performance, and the future network evolution potential. These are key characteristics for an operator and must be prioritized. 64T64R 100MHz antenna unit can be split into two 32T32R modules to achieve dual carrier adapting soft splitting technology, but the amount of antenna elements is reduced due to the splitting, and the overall system capacity is only increased by 40 percent compared with 64T64R 100MHz; coverage is reduced by 20 percent compare to 64T64R 100MHz, which may cause coverage holes. For C-band, due to the character of the spectrum, link budget is a key factor to drive the product design to catch up the same coverage as 1800Mhz; the performance of the system is reduced by 20 percent to 30 percent compared to 64T64R 200MHz. The number of streams in the network (MU-MIMO multi-user multiplexed data) will also change from 64T64R to 32T32R, resulting in a decrease in the number of streams and a decrease in performance. The better alternative is 64T64R 200MHz which gives a 100% increase in capacity compared to the 64T64R 100MHz system, and the single-user peak experience can be increased by 100% if CA technology is enabled. 2018 has been a breakthrough year for 5G. 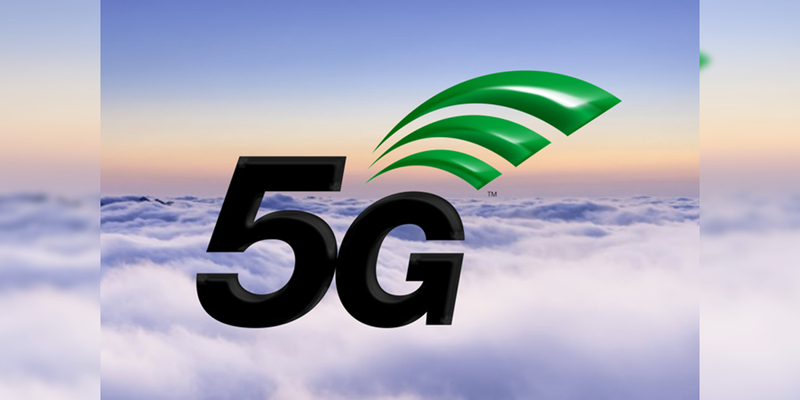 The 3GPP, a global organization responsible for setting 5G standards, has completed the standalone R15 5G specification. There has been continuous innovation on 5G products and technology, which are poised to unlock the benefits of a 5G economy. As 5G will soon be deployed on a large scale, operators are seeking long term solutions and technology to launch 5G commercial networks and provide the ultimate 5G experience to end users. If the right infrastructure is put in place now and spectrum resource is prioritized, the region will soon enjoy one of the best 5G experiences in the world.